The word “gospel” means a good or joyful message, and it means good news for you! The Bible says the good news is that God loves you and sent his only Son Jesus Christ to suffer and die on the cross on your behalf. 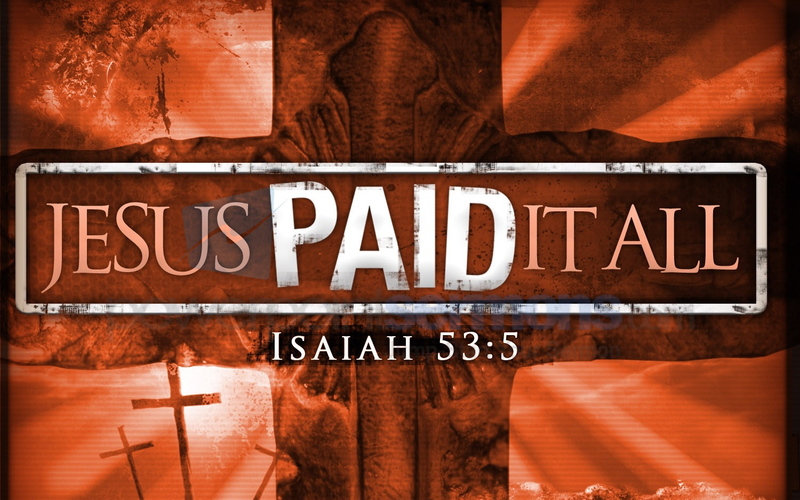 Jesus was the ultimate atoning sacrifice for the sins of the entire world, but only those who believe he died for them will receive forgiveness for their sins and everlasting life – can you believe it? The Bible says the good news is that Jesus died, was buried, and rose from the dead the third day, he did this for you – can you believe it? The Bible says the good news is that if you sincerely believe in your heart that Jesus died on the cross for your sins, and that through his death, burial, and resurrection you can be forgiven and have everlasting life – if you believe it you can pray to God right now and confess and ask him to forgive you, tell him you believe in what Jesus did for you on the cross and that you want to be forgiven of your sins and saved from Hell (where you will go if your sins are not forgiven) and go to Heaven when you die. The Bible says the good news is that salvation is a free gift that God offers you, there is nothing you can do to work for it or earn it through being a good person, or joining a religion, etc, the work has already been done for you by Jesus Christ! To get this gift you must believe it and then ask for it to receive it – do you believe it? Please contact us if you have believed the gospel after reading this, we would be delighted to help you to learn more about Jesus and his will for your life. Also contact us if you are not sure about any of this and we will gladly explain it further. We would love to see you join our church services any time! We greet you in Jesus Name. We thank God for your prayerful faithful and fruitful work you are doing for the Kingdom of God. Praying for all of you in Jesus Name. We request all of you to pray for the Lords work in India.